I’ve been spending today out of the office and will be out of the house for the evening. 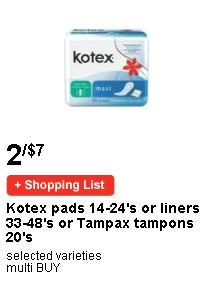 I won’t have any comprehensive updates or anything, but I will post up the deals of the week for feminine hygiene products. 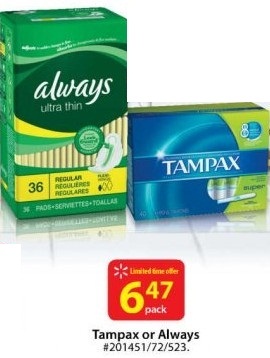 These deals are from Feb 13-19 (or see the fine print)… and these ones aren’t even as good as the one last week at SDM where it was 5.99 for 3 packages/boxes! 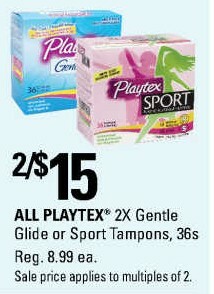 These are only valid at selected locations in Canada, Ontario… and may vary on a per-city basis. Please check your local paper flyers or digital flyers to confirm the availability! 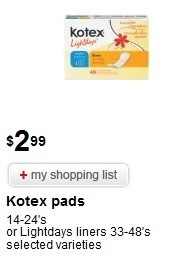 Your choice of assorted Kotex Maxi Pads or Kotex Pantiliners. 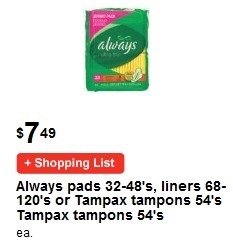 Your choice of assorted Always Maxi Pads or Always Pantiliners. 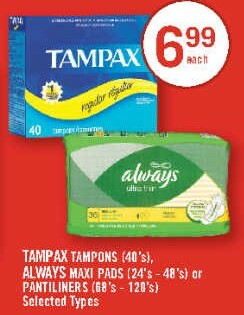 Your choice of assorted Tena (Incontinence) Pads or Tena (Incontinence) Pantiliners. 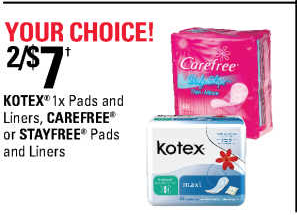 Buy one get one free with savings of up to $7.99. 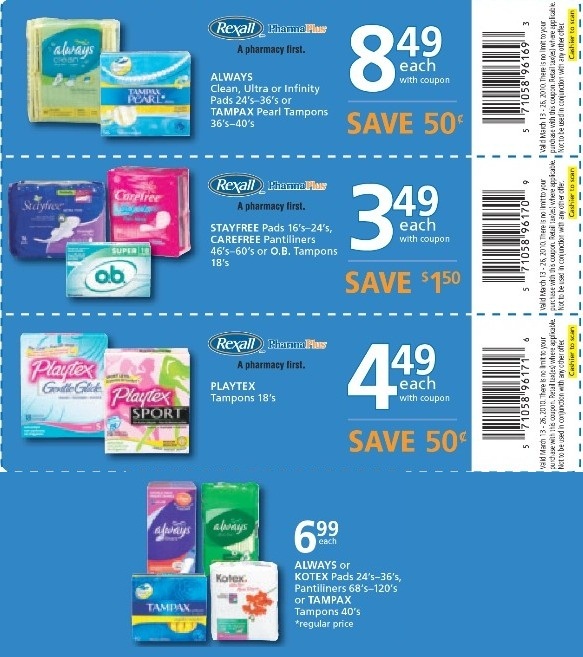 See in-store flyer coupon book for more information. 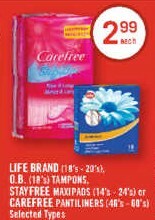 O.B., Stayfree and Carefree Shoppers Drug Mart Sale! 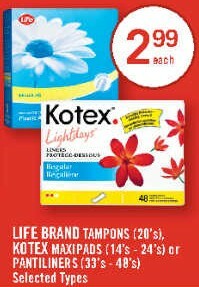 Massive deal at Shoppers Drug Mart for the week of February 6, 2010 to February 12, 2010! However, the real sale is only on Sunday (7th) and Monday (8th). 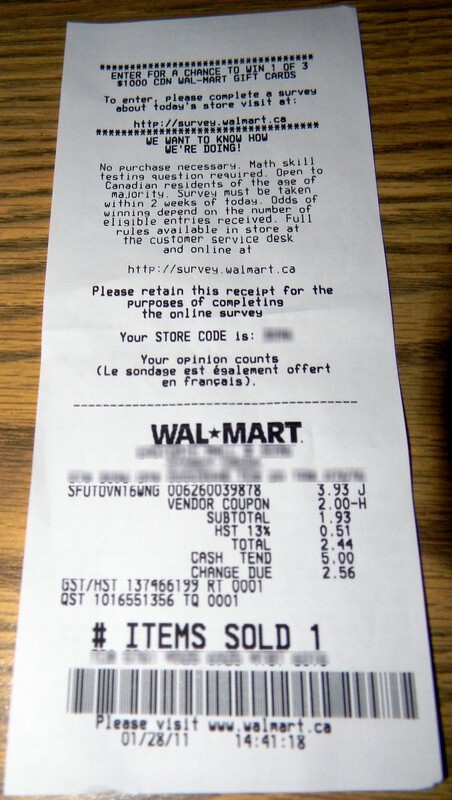 This is only applicable to select areas in Canada, Ontario so please check your location offerings accordingly! When I saw the “leaked” (lol, pun intended) version of the sales coming up this week, I thought 3 for 5.99 was a typo – but apparently not. 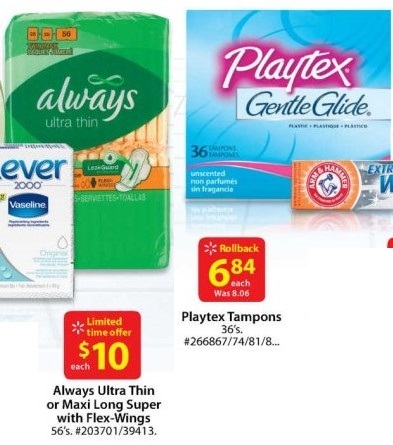 If you’re lucky and your SDM allows printable coupons, you can even get a $2 off coupon here (top-right corner of the page) or use the P&G Brandsaver/Save.CA coupon that offers a buy 2 and get $5 off deal! 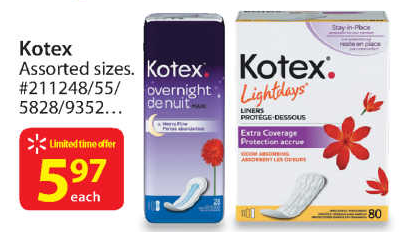 That’s right, your eyes aren’t fuzzy, that’s THREE (3) packages or boxes of your favourite pad/tampon/pantiliner for only $5.99! Your choice of O.B. 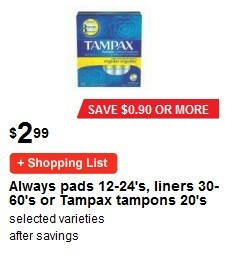 tampons 18-20/box, Stayfree maxi-pads 16-24/pack or Carefree pantiliners 34-60/pack or box! 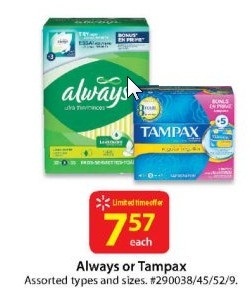 Even at the weekly sale price, you are saving $1.48 if you buy 3 at a time. 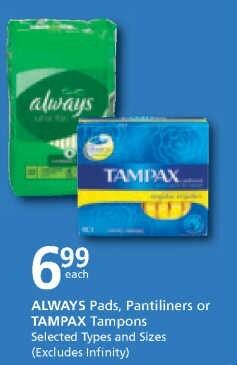 Normally they are 4.99-5.99 EACH, so this is definitely a good deal if you need to stock up! 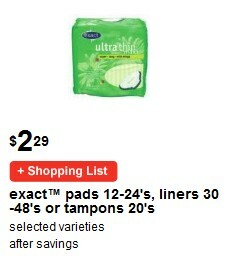 The awesome part of this deal is that you can mix-and-match, so you don’t have to buy all of the same kind! 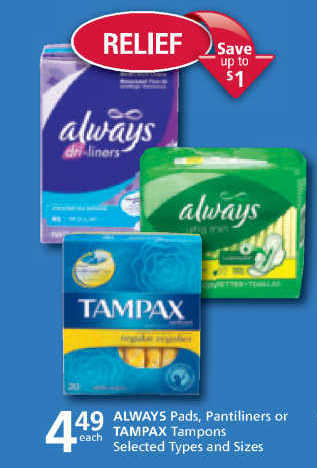 Whether thin or thick pad, pantiliner or tampon – as long as you get either mixture of any multiple of 3, you get the discount! Of course there’s a limit of 6, so you might want to bring a friend (for your heavy-flow’ers, lol) or just go to a different store, haha. Don’t wipe the shelves now boys and girls! Since I’m on the topic of “good deals”… there’s no better deal than FREE, yes free! 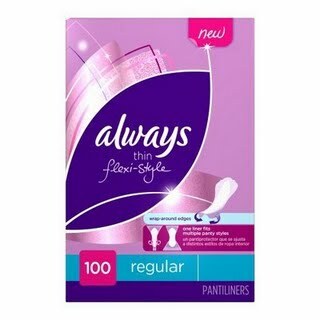 The new Always Flexi-Style Pantiliner is being sampled out, so get it while it lasts! I haven’t checked whether it is being offered in the USA since it is sponsored by BeingGirl, but Americans are always welcome to check it out at your US website! Of course you’re not given the entire box of 100, but I do believe you get 50 pieces – not bad for something you haven’t paid a cent to get.